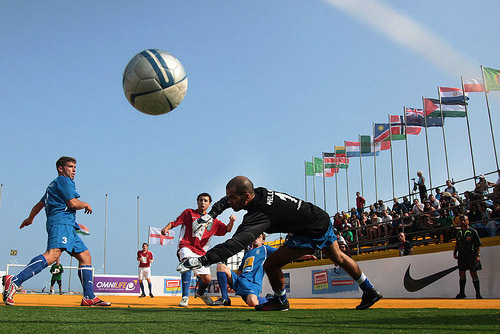 PSP photographer Nicolae Stoian is in Brazil covering the 2010 Homeless World Cup, which runs September 19 through September 26. Below is a selection of what he’s been photographing. But before that, here’s some background on the tournament. 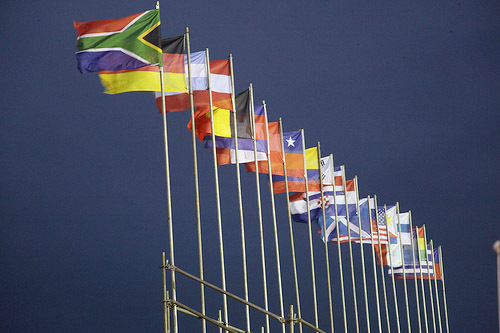 While at the 2001 International Network of Street Papers Conference, Mel Young, co-founder of The Big Issue Scotland, and Harald Schmied, editor of Megaphon, a street paper in Austria were looking for a common language to unite homeless people around the world. 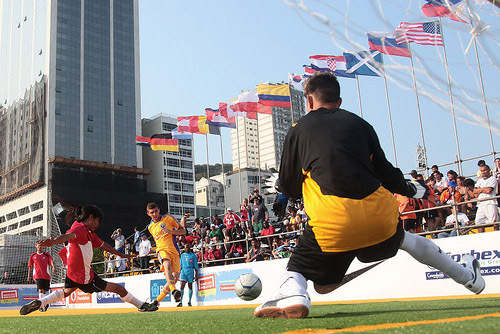 They soon realized that soccer was that common language and so the Homeless Wold Cup was born, the first of which took place in 2003 in Austria. 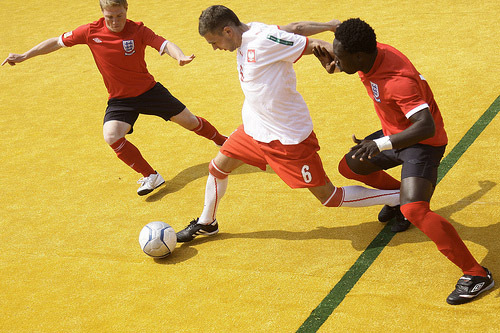 If you haven’t seen Kicking It, the excellent documentary from 2006 narrated by Colin Farrell, the annual tournament is exactly what its name says it is: an international soccer tournament in which the teams are made up of players who have been homeless in the previous year. 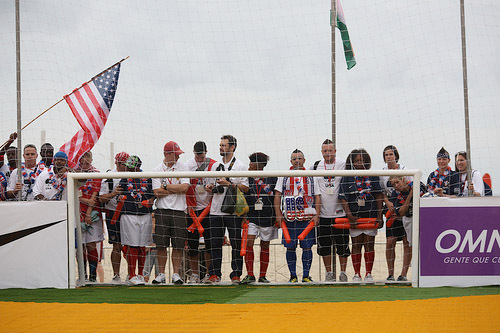 Street Soccer USA organizes the US men’s and women’s team. Last week, sixteen players selected from programs around the country flew to Rio De Janeiro to join 63 other national squads. 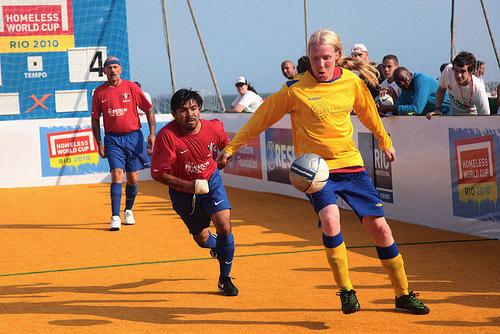 The teams play four-a-side. 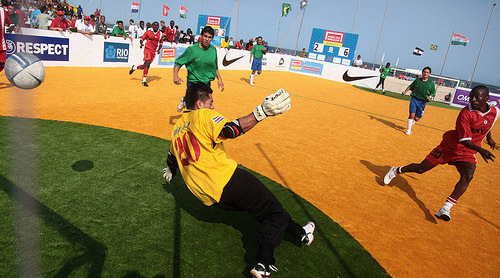 The US has been represented in the tournament since its founding. 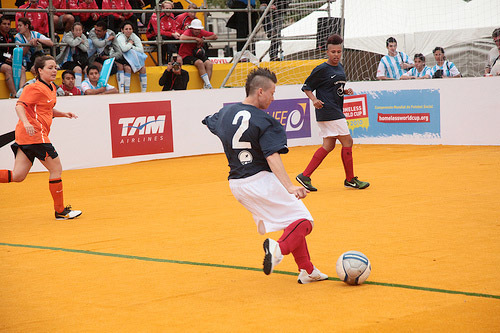 The players come to the tournament with a range of experience playing the game. In the tournament thus far, the US Men opened with a 3–2 loss to defending champions Ukraine. 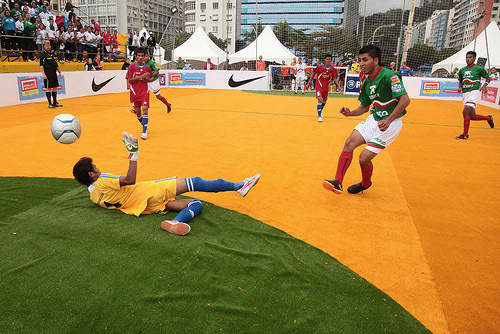 They bounced back with a 6–1 win over India followed by a 8–2 win over Sweden on Monday. 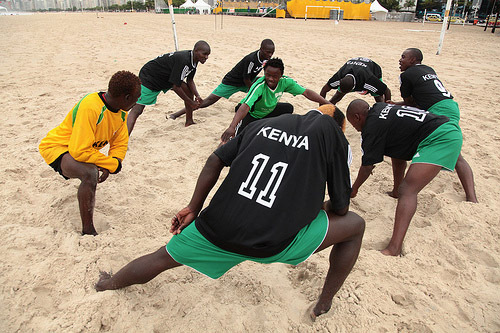 They face Slovenia and then South Africa on Tuesday. 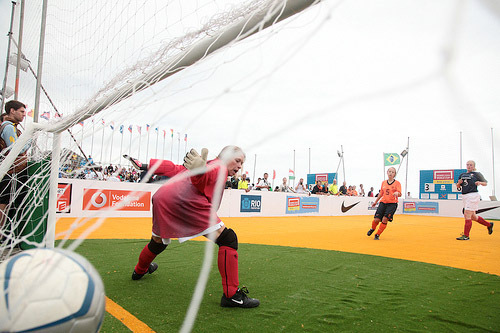 The USA Women opened with a 8–5 loss to Netherlands. On Monday they lost 5–2 to Colombia before beating Argentina by the same score. 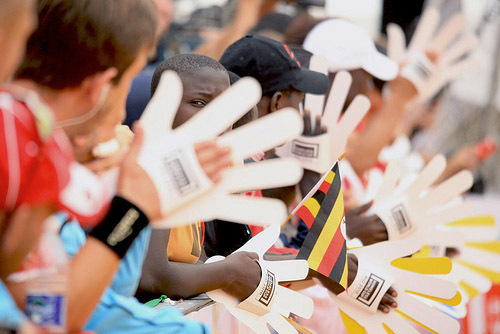 On Tuesday they lost 8–2 to Haiti and will face Norway later in the day.